I mentioned in my last blog post about how I was going to make a sock monkey (read it here)...and now I can say I have! Thanks to Sock Monkey Madness Festival at Midway Village Museum that is! The annual event took place last weekend, and it was packed. There were vendors selling sock monkeys, accessories, and other sock monkey trinkets and gifts (a sock monkey pie whistle??). There was even a woman making a pair of socks right there! But the part many people look forward to (including myself) is the Make-A-Monkey workshop. The room was completely full of people of all ages diligently making their sock monkeys. Turns out, about 100 sock monkeys are made per day during this event. 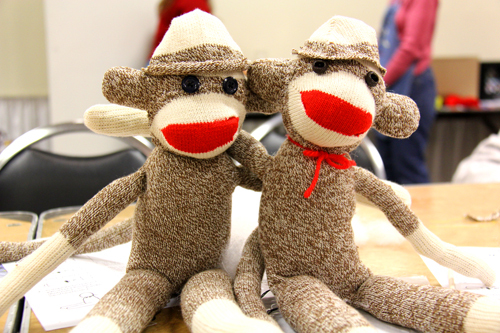 So after last weekend there were 200 new sock monkeys created in just Rockford alone! While we (Andrea and I) were making our sock monkeys, we sat across the table from a young girl and her grandmother. Turns out they came from Aurora just for Sock Monkey Madness. The grandmother said instead for each of her grandchildren&apos;s birthdays, she takes them somewhere of their choosing as their gift. 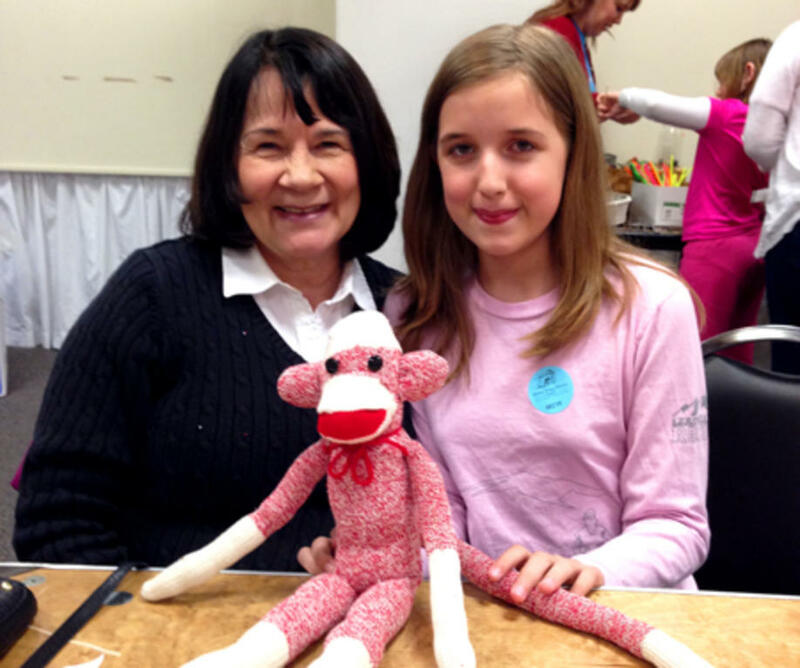 Since her granddaughter loves sock monkeys, this was the perfect location and event to attend! We loved sitting next to them not only because we had great conversations, but they also gave us tips to the sock monkey assembly process...as we struggled during some parts. As I wandered through the rest of the event after my sock monkey was complete, I saw so much joy and excitement in the faces of all the kids who were at the event (and adults too!). If you have never been to Sock Monkey Madness Festival before, I highly recommend going next year. And in the mean time, visit Midway Village and learn all about sock monkeys in their permanent exhibit! For information about upcoming events at Midway Village Museum, visit their website.